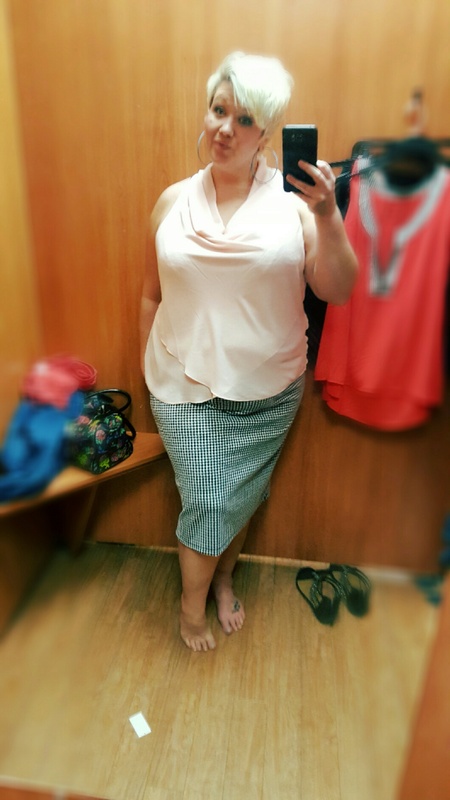 A few of the bloggers I follow have had great success finding affordable, stylish looks at Burlington Coat Factory. After watching my second or third haul video by The Curvy Fashionista (find her YouTube channel here and blog here), it dawned on me that there is a Burlington in our sister city, Odessa. Last night, I made the 20-25 minute trek to their mall and decided I would check things out for myself. I set a budget of 50 dollars and was hoping to find some pants and maybe a cute birthday outfit for next month. 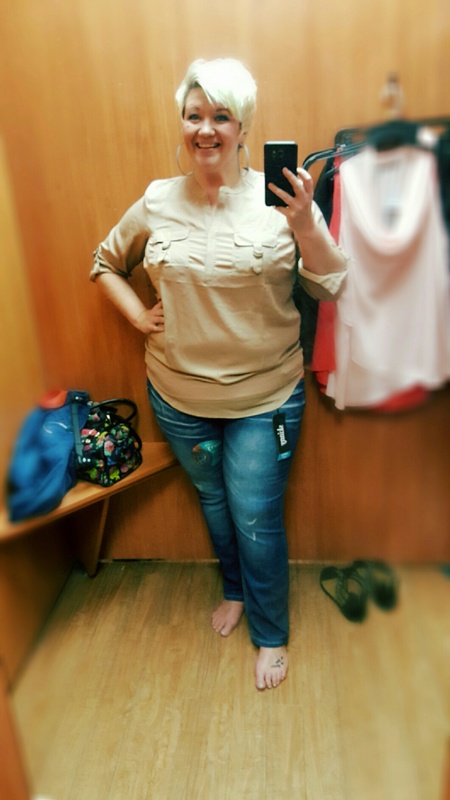 When I arrived, I had a hard time locating the plus size section. Turns out it’s at the opposite end of the store from the women’s dressing rooms. (I see what you did there, Burlington.) I, however, was not going to be deterred by extra physical exertion. 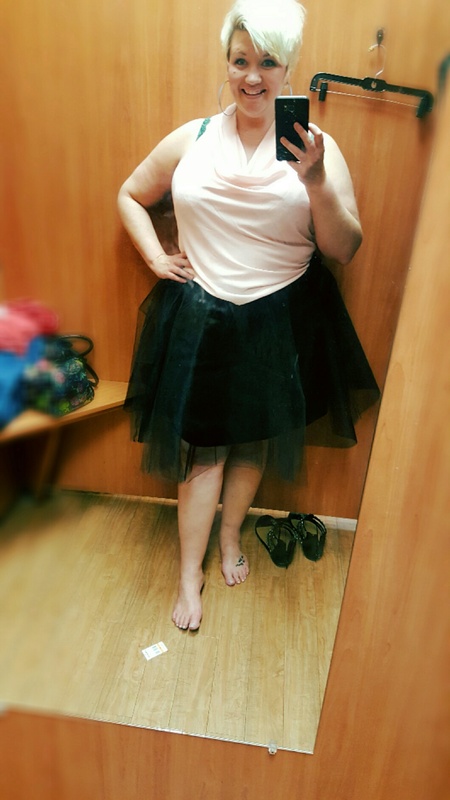 I loaded up with 7 or 8 items and began the oh-so-fun trying on process. 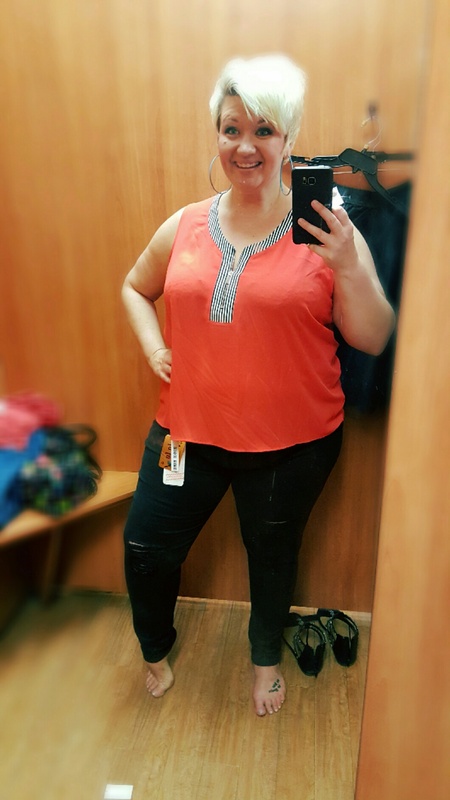 I’ve decided it would also be oh-so-fun to see how well my reader’s know me by showing you everything I tried on and seeing if you can guess which items I purchased. I will give you a hint, I bought 3 of the following pieces. I would have purchased more but I HAD to stick to my budget. I’ll give you one more hint. 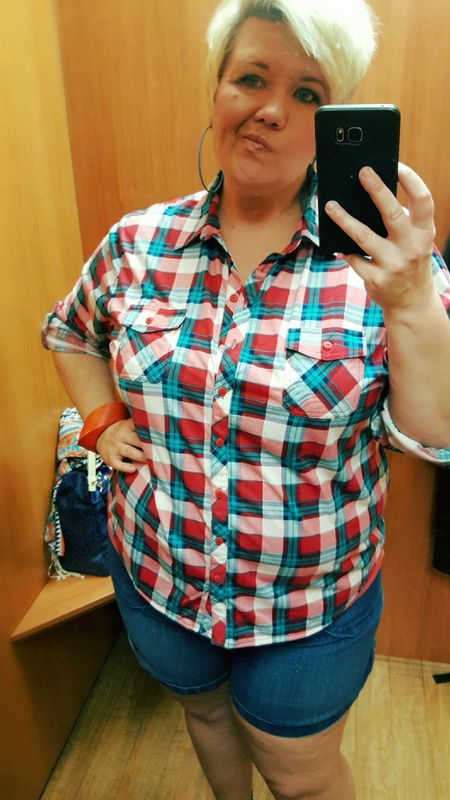 As evidenced by the look on my face in this last photo, I did not purchase the plaid top. Here’s my deal with the plaid trend (which is totally a thing this fall/winter, in case you haven’t noticed). I want to like plaid. In fact, I DO like plaid. I love it….on other people. But the minute I try on a piece like this very soft and comfy button up, I start laughing because I think I look like a lumberjack. Is it the short hair? I don’t know. All I know is that as much as I want to pay homage to the 90s grunge look, my closet is still devoid of any plaid. But I digress. Let’s get back to the guessing game. Which three pieces do you think I took home with me? 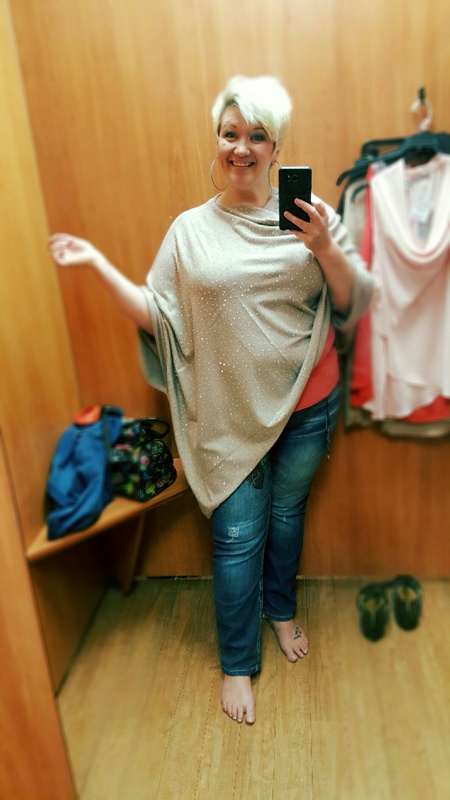 Black skinny jeans, blush cowl neck, and sparkly poncho!